Pope Francis’ recent Laudato Si encyclical has further fueled conversation and policy debate on the environment globally, especially calling for all religious communities to reflect on the spiritual as well as the material world. 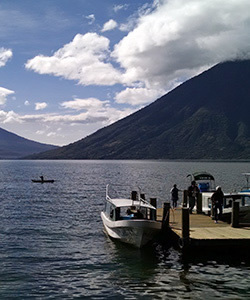 As part of a larger project investigating the intersection of religion and development at the country level, WFDD and the Berkley Center’s research in Guatemala finds environmental concerns particularly urgent and widespread. Environmental vulnerabilities such as depletion of the rainforest canopy, yearly droughts, and ongoing water scarcity are rendered more acute by the effects of climate change. This policy consultation allowed scholars, policymakers, and faith actors to discuss the role religion can and does play for various environmental issues at the national and regional level. The conversation will be reflected in a policy brief and Guatemala country report.